A participant prepares to release one of turtles into the Maitland River. Photo by Marty Thompson. A ceremonial turtle release took place in Wingham Wednesday in honour of a cyclist who sustained serious injuries after being hit by a car three weeks ago. 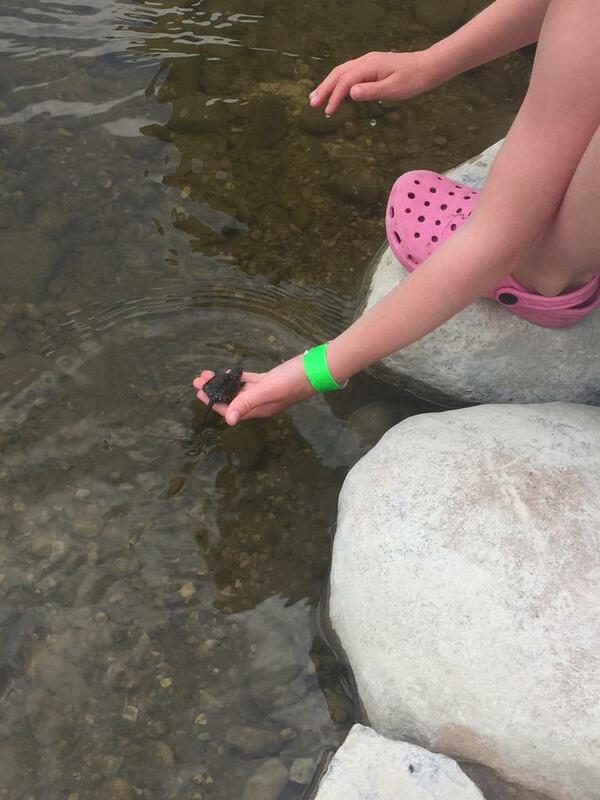 Around 130 turtles were released into the Maitland River as part of a fundraiser for Julie Sawchuk – a cyclist who was struck by a car on Blyth Road on July 29. The turtles were released in conjunction with the Huron Stewardship Council and Ausable Bayfield Conservation Authority. The high school teacher is in London hospital being treated for a broken back and broken ribs. Over $18,000 has been raised for Sawchuk’s recovery through this crowd-sourcing page. Sawchuk’s blog can be found here. A 47-year-old Dungannon man has been charged with failing to turn left to avoid a collision with a bicycle in connection to the case.